Located in the heart of Ho Chi Minh city, the centre of shopping and tourism, Indochine Hotel is a subtle blend of Asian hospitality and modern Western innovation. Indochine Hotel, which consists of 30 well-equipped rooms reflecting the charm and personality of its host city, will bring you the most enjoyable and intriguing time during your stay in Vietnam. Indochine Hotel, which is reborn from the old Fimex Hotel, is an irreplaceable place for you to stay. With its own advangtage of centrally located in the heart of district 1, Indochine Hotel is carefully designed to bring you the most pleasurable experiences on staying in Vietnam. 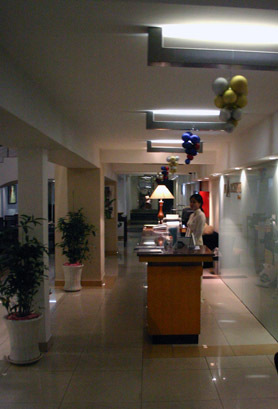 Within a few minutes walk from main shopping area of the City, Indochine Hotel is closed to all amenities. Whether you are here for business or travelling, stay with us and enjoy every moment of this vibrant city’s life. Finding the right place to stay that satisfies all the needs during your travel period is not such an easy task, especially there are so many to choose from. But the hight level of dedication from our staff is what sets us apart from many others.